We took a five-hour flight from Boston to Phoenix, then hopped in a rental car and drove another 4 hours to the Bright Angel Lodge on the South Rim of the Grand Canyon. We arrived at 4:00am, jet lagged, and hungry. 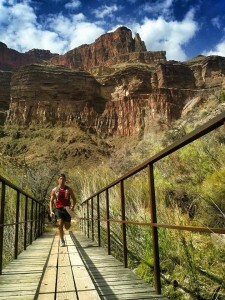 My purpose was to run what is known as the rim2rim2rim race across the vast and dangerous Grand Canyon. The R3, as we will call it, is not for the faint of heart. Even the most experienced ultra-runners have said it’s only 44 miles, but it feels like 100. With elevation changes that vary some 22,000 feet, running along 3 foot paper thin trails that drop off 3,000 feet at points, passing through 7 climate zones, limited water access, and dangerous desert creatures nipping at your heels. The pressure is on to perform this mammoth task. Behind every racer is a team, and mine is the best. I was traveling with my fiancé, Holly, and her daughter, Mia. Although they think the stuff I do is crazy they go right along, and what better trip to tag along and sightsee than the R3 in the Grand Canyon. But that is simply who came in person, I also have the support of Mia’s older sister, Madison, my awesome family in St. Louis, great friends, and a crew of clients that motivate me everyday by committing to always moving forward in the TriJake Method. All of these people were in my heart during this run. For most people the R3 is a 2+ day camping trip, and that’s daring in itself. We were about to make the trip in less than half a day. 12 o’clock, midnight, Saturday morning. I am shaken awake by Holly, “Sweets.” She whispers. “Sweets. Wake up. Did you pack?” I snap to attention. I had passed out after dinner with the intention of waking early to make my final gear check, but that never happened. As I said, I have the best team. Now aware I was not ready to leave I began to scramble through my gear, stuffing what I knew I needed into my pack. This is not ideal planning. I receive a call at 1:45am; it was our race organizer, Alyx Luck. “You coming down?” she asked. “We are in the lobby of your the lodge.” I replied with a yes, but couldn’t find my 2nd water bottle. 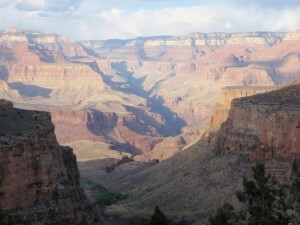 We were scheduled depart from the South Kaibab Trailhead at 2:00am and I was going to make us late. Not my style, so I scraped the second bottle and headed to the lodge. Upon arrival, I was greeted by a crew from all over the world, some runners, some not, some going the full, and some turning at Ribbon Falls. (Still a 28 mile dash through Hell’s Playground.) We rallied to the start point at 2:45am. It was a windy 28 degrees and our guide, R3 pro, Benedict Dugger, reminded us that the canyon is much bigger than us and to stay ahead of nourishment and hydration. Then, we casually disappeared in the darkness. I always enjoy descending off mountains, and I felt this was especially fun as it had steps made with logs and rocks to hop, skip, and jump off. I cruised with ease and comfort the next 7+ miles on my way to Phantom Ranch. The terrain was rocky and any wrong step, or ankle roll might have resulted in a 3,000 foot free fall to a certain death. When traveling such trails I don’t think about dying, it can distract you from the task at hand, plus being pitch black and only being able to see a few feet ahead of you, one should focus on each step. 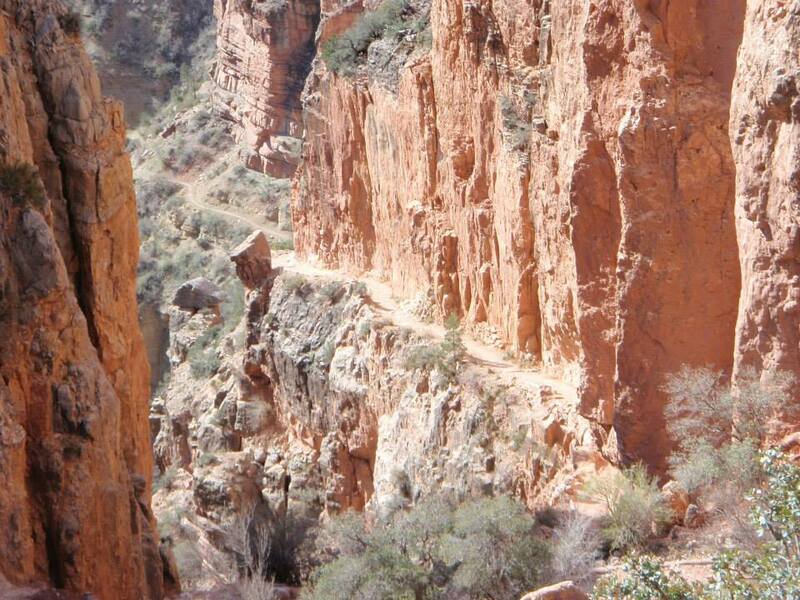 After Phantom Ranch is a long, steady climb to the North Rim. You would run 8 miles just to arrive at the base of the rim. Most of this run is through Box Canyon, a deep canyon that turns inferno by mid-day. The Bight Angel Creek runs through “The Box” and there is much desert wildlife, like rattlesnakes, scorpions, mule deer, and mountain lions to name a few. I saw all but the snakes and lions, but if I know wild predators, they saw me. Now that’s motivation to keep a steady pace. 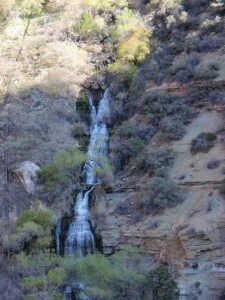 There are also many waterfalls in this part of the Grand Canyon that elude most tourists, even hikers and runners because some take you miles off your charted course, but I took some time to see Ribbon Falls, a gorgeous oasis in the middle of the breathtaking furnace, and are paradise to all whom cross the canyon floor. The North Rim is over 1,000 feet higher than the South Rim at 8,500 feet above sea level the North Rim is closed in the winter months due to frigid temperatures and icy conditions. This does not stop runners and hikers to travel there in the winter and early spring, but it does mean there is zero provisions or support on the North Rim. I ran most of the North Rim, slowing to a walk only when my right leg crapped enough to let me hobble the rest of the climb. 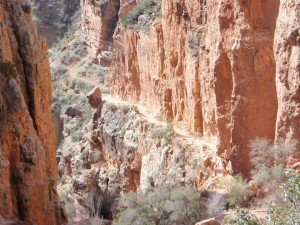 Much like the South Kaibab Trail, the North Kaibab Trail is steep. You travel over one mile in elevation in less than 13 miles of ascending. Once to the top, I chilled for 10 minutes or so, ate a pb&j, changed socks, and headed back down the breathtaking trail at lighting speed. I covered the five mile descend to the canyon floor in 30 minutes. This brought me into mile 29, and I couldn’t resist the cool water of a Colorado River tributary. I dunked in for a moment and popped out refreshed, ready for the 8 mile dash back to Phantom Ranch. The time is 1:00pm and the Box Canyon was peaking temperatures soaring over 80 degrees. I danced on and off the trail in my newfound playground. For those of you who don’t know, I am a self proclaimed “hot weather runner.” I love the heat. I jumped in and out of Bright Angel Creek, drinking all the water I wanted, and sometimes kicking my shoes off for a quick dip. I played humbly for as these words ran through my head, “God will forgive, the canyon will not.” I was charitable with my time, but cautious not to fall behind schedule. My legs felt well, body strong, and decided to turn on the afterburners to head back to Phantom Ranch. Even though some 30 miles had been covered I had gas to burn. My Garmin watch was registering sub 8 minute miles, I couldn’t believe my eyes. I punched it harder and made it to Phantom Ranch for it’s infamous ice-cold lemonade. The taste was sweet, so sweet I had to water it down. 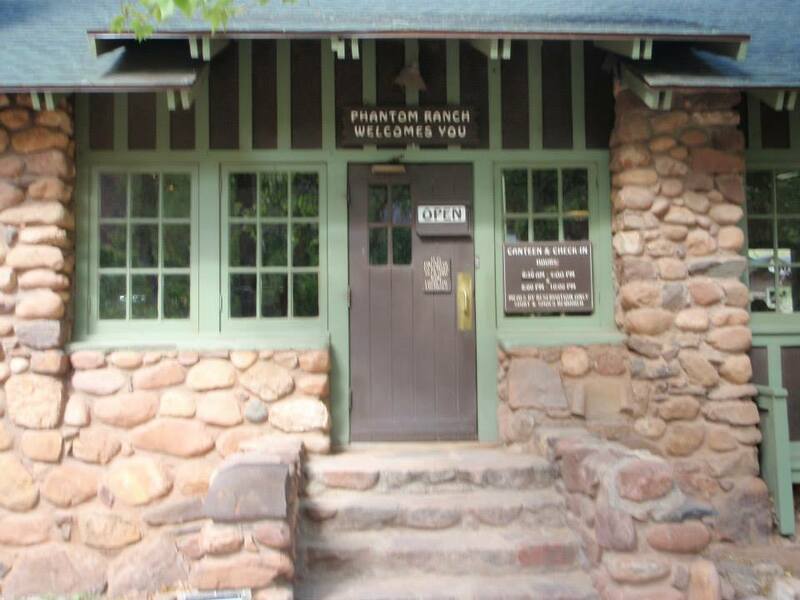 Phantom Ranch is a cool place, like a tiny town in the middle of nowhere. 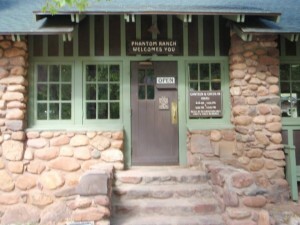 Some say Mary Colter named its Phantom Ranch because although it’s on the trail, every time you turn a corner and think you’ll see the ranch…you don’t. I felt great, and was off to conquer the final challenge of the day, the 9.3 mile charge up the 5,000 foot climb. 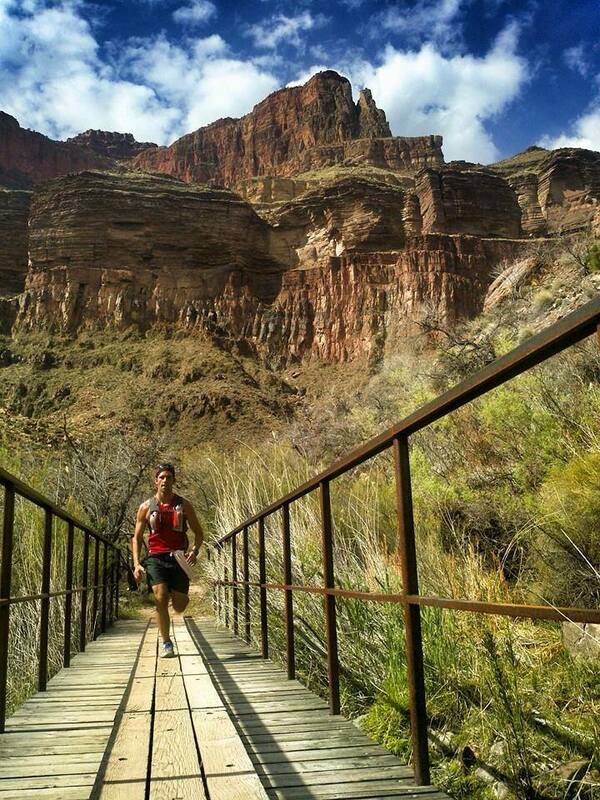 I had already ran 34 miles and was ready for the poorly named Bright Angel Trail. 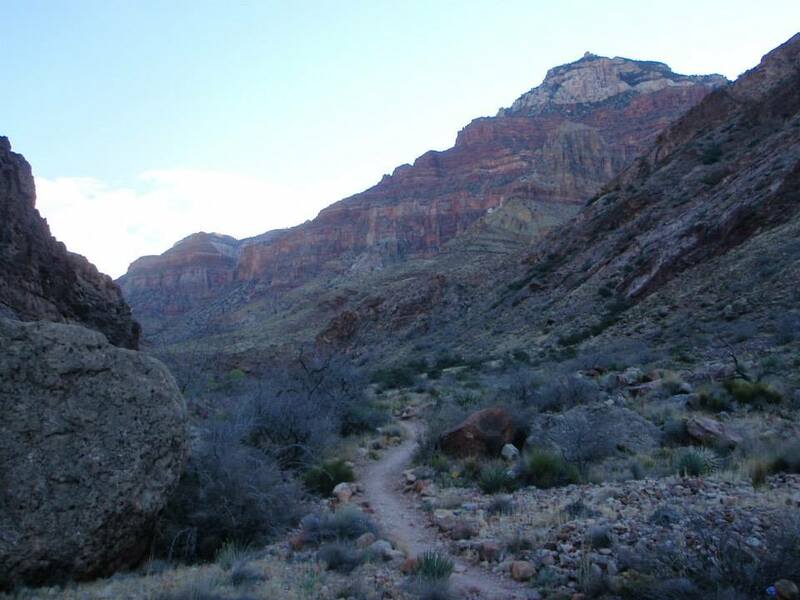 I say poorly named, because the Bright Angel Trail might take you home, but climbing 5200 feet in less than 10 miles of trail is frightening. 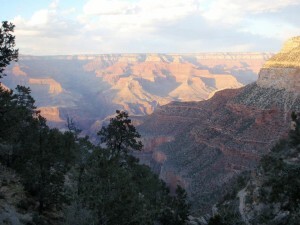 The Bright Angel Trail passes through Indian Garden. A beautiful area filled with roaring creek beds and cottonwood trees. After crossing the suspension bridge over the powerful Colorado River, you are met with razor sharp switchbacks, and to add insult to injury, sandy trails. This makes grabbing your footing more difficult. 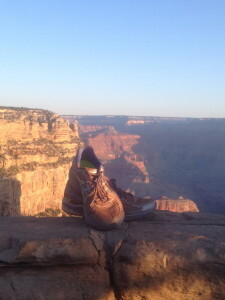 As I climbed the trail the sun began to set, and the beautiful moon and stars came out to shine over the South Rim. Orion himself was placed directly over our destination. The last 3 miles was that of a 2,100 foot climb. I struggled to focus and pressed forward with the promise of cold sparkling water and ice cream sandwiches. Once I passed a particular sign that I knew we had one mile to go, and I decided to run it out. I felt awesome, my legs were under me, and each step was a little faster. The next thing I knew I was in the parking lot of the Bright Angel Lodge and it was over. I was elated. I scrambled to find my phone charger to let friends and family know I was okay. I grabbed the ice cream sandwich and sparkling water from the mini-fridge, then went to the car in case some folks still coming in needed a ride. Once everyone was accounted for, we did what anyone would do at that point, and grabbed late night pizza at the Maswik Lodge. We regaled our victorious march and stuffed our faces with pizza and root beer. Satisfied, we shook hands, hugged, and cheered each other until next time. Ultra running is elusive, it’s gaining in popularity, but few understand it. There is no money in it, rarely are medals given, and most think it’s crazy. But ultra runners know something others don’t. They know that things don’t stay bad for long. They know that each step is valuable to the journey. We know you cannot prepare for everything, and understand the difference between wanting and needing. Running is the purest form of athleticism, and to experience the sport on such a grand scale of endurance is extra special. Ultra running is like writing a poem with your feet. 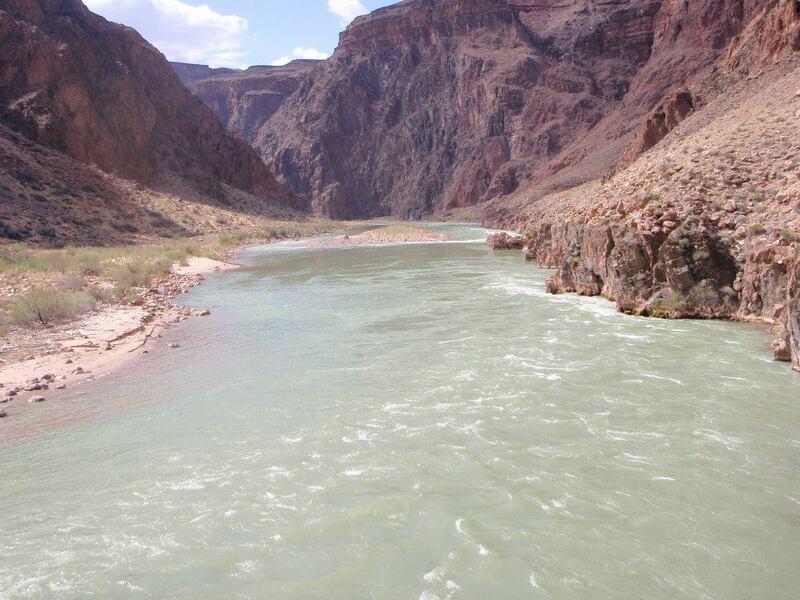 We had conquered the R3 run at the Grand Canyon, rim to rim to rim, “The Death March”…. A trail run not for the faint of heart. We ran 44 miles with more than 22,000 feet of elevation change, crossing through 7 climate zones, and running all day with only what you can carry on your back. This is ultra running at it’s finest. This is why we run. You can do more than you think you can. I can get you there. I am a better man than I was last week, and I will continue to grow as I am committed to TriJake Fitness and Always4ward.